Last Friday, I received another beauty parcel from my best friend, and among the cosmetic rubble, he slipped these lippies into the box. From left to right: Pink Lemonade, Juicy Papaya, Sorbet, Wild Watermelon. Pink Lemonade: (The sheerest of the four) is a yellow-based, warm-toned, soft pink. Sorbet: a bright, cool-toned fuchsia. Wild Watermelon: a bright watermelon-red. 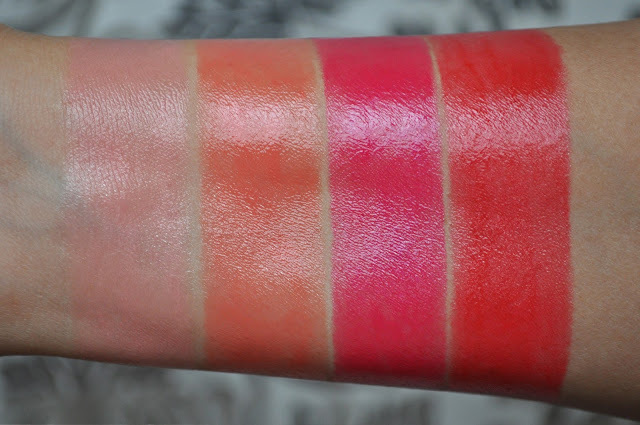 I've only had these lip butters for a few days, but I'm already in love with Wild Watermelon. 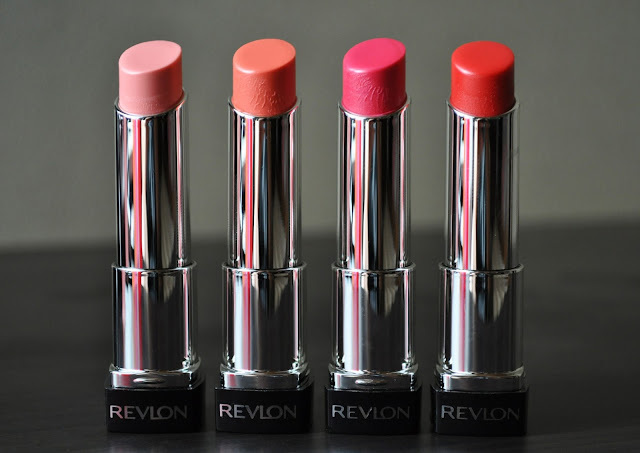 I like the balmy-texture and translucency (the opacity can be built up) of Revlon's Colorburst Lip Butters, and I can see myself getting a lot of use out of these four new shades. 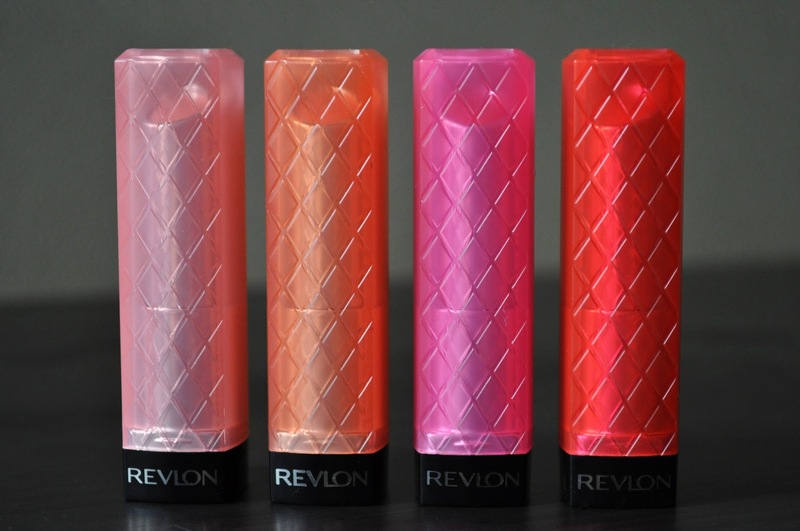 What's your favorite new Lip Butter shade? I have sorbet and it is seriously the prettiest pink color! Awesome best friend, she did good! Sorbet really give a pretty pop of color to an natural "no makeup" look.